Consortium supplies adjacent expertise, technical/legal/process support. The overall sense of the meeting was that moving to a W3C Community Group was a good idea. Even some who had reservations based on past standards experiences concluded that if Joe, Daniel, and me all thought that the W3C was the best way forward, that was good enough for them. Since that time, Daniel and I have been working with senior management at our respective companies to get approval to move development of these music notation software standards to a W3C Community Group. We have made good progress so far. We are optimistic (but not certain!) that we will have something to announce relatively soon. 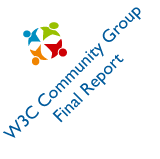 Please note that W3C Community Groups are a much lighter-weight organization than a W3C Working Group. Community Groups produce reports rather than recommendations as their specifications. W3C membership is not required to participate, and there are no membership fees or travel requirements. Companies may of course join the W3C to access the full benefits of the consortium’s web standards resources, but this is in not required. You may want to have your legal team review these agreements in advance to address any questions about signing up to participate in the community group. Daniel, Joe, and I are excited about the potential of this move to build on the successes of MusicXML and SMuFL, and make them even more powerful tools for representing music notation on the Web, in print, and in new interactive media yet to be invented. A brief introduction to MusicXML. Nearly everyone attending was already familiar with MusicXML, so we covered this quickly. MusicXML community progress over the past year since our last meeting, focusing on the 25 new applications that have added MusicXML support in that time. An update on the Standard Music Font Layout (SMuFL) project, presented by Daniel Spreadbury from Steinberg. Future directions for MusicXML: content and governance, presented by Joe Berkovitz from Noteflight. The presentations took 90 minutes, followed by 30 minutes of focused discussion on the future directions for MusicXML. This was followed by an hour-long reception sponsored by Hal Leonard / Noteflight. Nicolas Froment from MuseScore made a video recording of the meeting, including the presentation and the discussions. If you have not attended one of these meetings before, here is a great opportunity to see and hear the faces and voices behind the names. To summarize the discussion, most people who spoke at the meeting were favorably inclined towards Joe’s proposal to move MusicXML to a World Wide Web Consortium (W3C) Community Group. There was support for adding more notational semantics to MusicXML – not just the what, but also the how and why behind notation layout. Joe showed an example of how MusicXML could evolve to use Cascading Style Sheets (CSS) technology that intrigued many people. The meeting met my goals for getting a better sense of the MusicXML community’s reaction to a possible change of governance to the W3C, as well as some of the general directions for future MusicXML evolution. We will continue discussion of these topics online in the MusicXML forum. Change of governance is not a simple matter for the companies involved. It seems it would be best for MusicXML and SMuFL to both be transferred together to a standards organization rather than proceeding separately. So there are discussions that will need to happen at MakeMusic, Steinberg, the W3C, and elsewhere. Given the strategic nature of the technologies there is no guarantee that this transfer will happen, but gauging the community’s interest was a key step in this potential evolution. Hal Leonard and Noteflight for sponsoring the reception. Joe Berkovitz and Daniel Spreadbury for their excellent presentations. The Musicbiz Lounge & Congress and Musikmesse staff for their top-flight support. Nicolas Froment for the video recording. All the meeting attendees for the lively and informative discussion. As long as Musikmesse makes this Musicbiz Lounge & Congress venue available to us, we plan to keep this as an annual event. Next year’s Musikmesse is from April 7 to 10, with many changes in store. The Friday date seems to work well, so we’ll tentatively plan for the fourth annual MusicXML meeting on Friday, April 8, 2016. I am happy to announce that we now have our MusicXML Community Meeting confirmed at the Musicbiz Lounge & Congress during Musikmesse 2015 in Frankfurt, Germany. We will meet at the same time as last year: Friday, April 17 from 2:00 pm to 4:00 pm, with a reception afterwards sponsored by Hal Leonard / Noteflight. The meeting will be in the Workshop room in the Congress area adjacent to Hall 5.1. MusicXML has become the standard interchange format for music notation and digital sheet music over the past 15 years. Since 2013 the community of music notation developers, publishers, and musicians has met each year at Musikmesse to discuss new developments and possibilities for the future. One topic for this year’s meeting will be future directions for the MusicXML format. Might MusicXML evolve in the future from a document interchange format into a more complete platform for interactive digital sheet music? What might this evolution look like? How could we support interactivity better in the future without disrupting the successful document interchange of the present? How might such an evolution fare under the umbrella of a standards organization, for example the World Wide Web Consortium (W3C)? Other topics to be discussed are future integration of MusicXML and SMuFL, and status updates on new applications supporting MusicXML since last year’s Musikmesse. Please also email me or send me a private message on the MusicXML Forum if you plan to attend, so we know how many people to expect for the meeting and the reception. My presentation reviewed our discussions on music notation markup at the W3C from the W3C’s October TPAC meeting. At that meeting we explored a proposal for forming a music notation W3C Community Group and transferring relevant standards like MakeMusic’s MusicXML and Steinberg’s Standard Music Font Layout (SMuFL) to that organization. The governing documents could then become W3C Community Group Reports, perhaps co-published with the MMA. Understanding the potential and pitfalls for current standardization work benefits from looking at past experience. Over the past 20 years, organizations like IEC, MPEG, and IEEE have produced eScore standards that have all failed to be adopted. These organizations tend to be too expensive in both time and money for an industry as small as sheet music and music notation software. Standards produced without the participation of industry experts have little chance of success. In contrast, MusicXML was designed and developed within the industry to work with existing music notation programs, and has been adopted by over 180 applications. With its free membership and more flexible process, a W3C Community Group might provide a venue that could avoid some of the past pitfalls of previous standards organization efforts. I examined the pros and cons of moving MusicXML into a standards group like the W3C, or maintaining the status quo of MakeMusic ownership for the time being. Taro Tokuhiro reviewed the work on music notation at IEC TC 100 TA 10 from the past two years. IEC, the International Electrotechnical Commission, is one of the three global organizations (IEC, ISO, ITU) that develops official International Standards. TC 100 is the IEC technical committee on audio, video, and multimedia. TA 10 is TC 100’s technical area for multimedia e-publishing and e-book technology. Japan has extensive representation and involvement in TA 10. AMEI, the MMA’s Japanese counterpart organization, has been working within TA 10 over the past few years to publish MIDI 1.0 as an official IEC international standard. Mr. Tokuhiro took over the role of leading AMEI’s work with TA 10 last year. AMEI presented on eScore technology at the IEC’s general meetings in Shenzen in September 2013 and in Tokyo in November 2014. Work is now underway on a technical report describing eScore technologies like MusicXML that are currently available on the market. The report draft is due this month and will be published after a voting process. This technical report is the outcome of a research phase, and a prerequisite for recruiting expert involvement in a standards project. After publication, IEC will address questions such as if international de jure standardization is needed, if IEC is the right place for such standardization, or if the current de facto standardization on MusicXML is sufficient. As a result, digital sheet music may be proposed as a project within TA 10, or it may not – there is no hard commitment yet either way. I very much enjoyed the opportunity to meet with Mr. Tokuhiro for lunch before the session. We had a detailed discussion of the contexts of the current eScore standardization work within both IEC and W3C which I found very helpful. There was not much discussion during the question and answer session after the presentations. Tom White from the MMA provided some clarifications on the work within both W3C and IEC. I expect that we will be discussing the potential for MusicXML moving to the W3C or other standards organizations in more depth at our next MusicXML community meeting. Assuming that Musikmesse 2015 provides the same venue for this meeting as before, we tentatively plan to meet in Frankfurt on Friday afternoon, April 17. I will post more details here as we know more about the scheduling and planning. Version 6.5 runs faster on Macs. It also adds support for exporting scores whose default music fonts follow the Standard Music Font Layout (SMuFL). SMuFL font support works in Finale 2012 and 2014, with Finale 2014 providing the better experience. The benefit of faster performance should be obvious, but what exactly is this SMuFL support? Current music fonts in products like Finale and Sibelius use font mapping conventions that date back to the 1980s. These mappings use older, pre-Unicode technology that limits individual fonts to about 200 symbols. Western music notation requires many more symbols than that, so most programs have families of fonts to cover a wider range of musical symbols. Each font tends to use a somewhat different set of symbols, mapped in a somewhat different way. This causes problems when switching fonts in a musical score, or switching fonts when moving between notation and digital sheet music applications. This diversity in font mappings also creates problems when writing software to export or import MusicXML files. The MusicXML software developer is usually never quite sure what a particular font character means. To accurately interpret what a character number means, you need to be able to tell which font is being used with that character, and you need to have seen that font before to know how it maps that number to a musical symbol. SMuFL aims to fix these problems. To quote the SMuFL site, “SMuFL is a specification that provides a standard way of mapping the thousands of musical symbols required by conventional music notation into the Private Use Area in Unicode’s Basic Multilingual Plane for a single (format-independent) font.” Using the Unicode Private Use Area allows SMuFL to map thousands of symbols. SMuFL 1.0 currently maps nearly 2400 glyphs. The SMuFL project was initiated and developed by Daniel Spreadbury at Steinberg. Like MusicXML, SMuFL was opened to community involvement at an early stage. At MakeMusic, Mark Adler and I have been involved with SMuFL even before it was publicly announced 18 months ago. Mark has focused on an updated OpenType version of our Maestro font family that will be SMuFL compliant. I have focused on how MusicXML and SMuFL might work together better in the future. Dolet 6.5 for Finale’s support for exporting files created with a default SMuFL music font is another step towards bringing SMuFL technology to MakeMusic’s products. We are happy to release the Dolet 6.5 for Finale plug-in together with our Finale 2014d maintenance update. MakeMusic’s new CEO Gear Fisher has posted more information about MakeMusic’s future direction on the Finale and SmartMusic blogs. MusicXML is a key part of MakeMusic’s vision: it is essential for bringing more repertoire into our SmartMusic product, and for people creating music in Finale to share that music with the widest variety of applications in the rapidly changing world of digital sheet music. In Gear’s update, he mentions how MakeMusic needs to make it easier to publish content into SmartMusic. Many of the challenges that we face in doing that are similar if not identical to the challenges the entire music notation industry faces in moving from printed to digital sheet music. That is what has driven my work with MusicXML, and I came to MakeMusic for the chance to work on these issues on a larger scale. We made some important foundational steps forward for digital sheet music production with Finale 2014. Having MusicXML as a common exchange format is another part of the puzzle, as is having SMuFL as a common music font layout. There is still much more to do. I am looking forward to what we can accomplish as MakeMusic enters the next step in its evolution. It has always been my plan that MusicXML move from company ownership to standards organization ownership once it achieved enough maturity, following the model of the PDF format. The questions have been which organization and at what time. Ten years ago we explored moving MusicXML 1.0 to OASIS, and decided not to proceed, largely because it wasn’t the right time. This was a fortunate decision. Shortly thereafter we embarked on the MusicXML 1.1 project, a large and rapid expansion of the MusicXML format that ensured the commercial success of both MusicXML as a format and Recordare as a company. MusicXML 3.0 on the other hand is quite mature. We may need one more major update to a MusicXML 4.0 to incorporate changes in the past 3 years, most notably with the SMuFL Standard Music Font Layout project. But at some point in the not-too-distant future, it seems like a good time to once again explore moving MusicXML into a standards organization. Such a move would be contingent on decisions by MakeMusic and Peaksware leadership, as well as decisions by the target standards organization. The two leading organizational candidates now are the W3C and the MIDI Manufacturers Association (MMA). W3C is the home of many web standards, including the fundamental XML technologies that MusicXML is built on. MMA is the home of related MIDI standards for the music instrument and software industries that MusicXML is also built on. Though both organizations are home to related technologies, neither W3C nor MMA has a critical mass of notation company members. Hal Leonard is a W3C member, and MakeMusic is an MMA member. Yamaha is also an MMA member and contributes to AMEI‘s membership in the W3C. In the past, standards organizations have had a dismal record of failure in music notation by being disconnected from the music notation development, publishing, and musician communities. ISO / IEC, MPEG, and IEEE have all developed music notation standards that nobody uses in practice. The industry is so small that the overhead of the typical standards organization is cost-prohibitive for most who might wish to participate. This issue is not unique to music notation. To address it, the W3C has recently added Community and Business Groups to provide lighter weight, lower cost alternatives to full W3C membership. Community and business groups produce Community and Business Group Reports, rather than W3C Recommendations. A W3C community or business group on music notation, with MMA as a member and possible co-publisher, might provide a good choice for a future home within the current standards organization landscape. Our goal for meeting at the W3C TPAC was to start discussions of this proposal and gauge interest within the W3C community. We had about 25 people at the meeting, which far exceeded both Joe’s and my expectations. It was great to see representatives from the W3C’s digital publishing and open annotations projects attending. These are two areas where there is good potential for future two-way interaction between MusicXML and emerging web standards. A key element for MakeMusic is that work within the W3C to evolve MusicXML will not stray from the compatibility that has marked MusicXML’s evolution from MusicXML 1.0 to 3.0, where all valid MusicXML 1.0 files remain valid MusicXML 3.0 files. This 100% strict compatibility might need to be adjusted in the future to ensure future progress. If so, it needs to happen in a way that neither breaks MusicXML’s use as an archival format, nor emperils the vast library of MusicXML software that has been developed in more than 180 applications that currently support the format. Whether at MakeMusic or in a standards organization, MusicXML still needs to be maintained on an ongoing basis as the technologies around it evolve. We don’t want to get into a deferred maintenance situation similar to the HTML4 to HTML5 and MIDI 1.0 to HD Protocol transitions. Our meeting at TPAC, as well as our previous day’s discussions within the W3C Audio Working Group, were a nice start to the process of considering next steps for MusicXML and possibly other related music notation standards. Joe and I look forward to further discussions within the MusicXML, music notation, and web communities as we figure out the next steps. Thanks to Doug Schepers at the W3C for all his work in facilitating these discussions. In the next month I will be attending two events local to me here in the San Francisco Bay area, and hope to see some of you there! The first event will be the World Wide Web Consortium’s TPAC 2014: the Technical Plenary and Advisory Committee meetings week. Over the years we have investigated how and when MusicXML might be transferred from Recordare / MakeMusic to an industry standards organization. Some possible candidates proposed over the years have been the MIDI Manufacturers Association (MMA), OASIS, and the World Wide Web Consortium (W3C). Recently, MusicXML community member Joe Berkovitz started serving as co-chair of the W3C Audio Working Group. Given Joe’s more active W3C involvement and the TPAC meeting being local in Santa Clara, this seemed like a good opportunity to start exploring the W3C’s interest in possibly providing a home for the MusicXML format in the future. We will be having two events at the TPAC. On Tuesday, October 28 we will have a MusicXML introduction during the W3C Audio Working Group meeting. This meeting is open to working group members only with observers approved by one of the co-chairs. The more general meeting will be a 1-hour breakout session on Wednesday, October 29 during the “unconference” part of the plenary. The topic will be Music Notation Markup and MusicXML with Joe and myself as speakers. 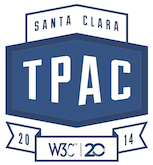 If you’re attending the W3C TPAC and are interested in this session, please let the W3C know by editing the Wiki page to add yourself as a possible attendee. Those two meetings are only open to W3C members. However, Wednesday also includes the W3C20 Symposium on the Future of the Web, followed by a gala dinner. I plan to attend both the symposium and the dinner, and hope to meet more people at both events. 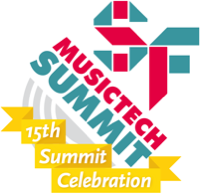 Two weeks later, I will be attending the 16th SF MusicTech Summit at the Hotel Kabuki in San Francisco on November 11. SF MusicTech is a great way to get a snapshot of the current state of the music technology industry. It brings together musicians, developers, executives, lawyers, and deal-makers of all types into one cost-effective, single-day networking and education event. At this Summit I will be joined by Peaksware CEO Gear Fisher and Chief Evangelist Dirk Friel. As we announced in August, MakeMusic is joining Peaksware. SF MusicTech is one of the music industry events that Peaksware leadership will be attending over the next few months. We have begun hiring for new positions in Boulder, Colorado in addition to the employees who will be moving to Boulder from Eden Prairie. I will continue to work for MakeMusic/Peaksware here in Silicon Valley. I hope to meet many MusicXML community members at these events! Feel free to contact me via the MusicXML forum, Facebook, or Twitter if you would like to set up a time to meet. Version 6.4 adds support for Sibelius 7.5. Earlier versions of the plugin worked with Sibelius 7.5, but the installers did not support this release. This was particularly a problem for people using Windows systems that only had Sibelius 7.5 installed. Our Dolet plugin is as complete a MusicXML export plugin as the Sibelius plugin interface allows. Version 6.4 maintains this comprehensiveness for Sibelius 7.5 by adding the ability to export Sibelius’s gap before a measure. The Dolet 6 for Sibelius plugin provides the only way to export MusicXML files from Sibelius 5 and Sibelius 6. Many people have also told us they prefer the Dolet plugin’s export to the built-in MusicXML export provided in Sibelius 7 or 7.5. This probably depends on the type of music you are exporting and the application that you are exporting to. If you are exporting MusicXML files from Sibelius 7, try our free Dolet plugin as well as Sibelius’s built-in export, and see which works best for you. Today we have announced that MakeMusic is joining Peaksware. Peaksware is the umbrella company owned by LaunchEquity Partners, the investment company that took MakeMusic private last year. The common thread at Peaksware is the focus on products that, like SmartMusic, help people develop skills and self-expression through deliberate practice. For MusicXML, nothing will be changing. I will be staying with MakeMusic and continuing to guide MusicXML development and developer support. Both MusicXML and Finale are essential to creating our SmartMusic repertoire and fit with the Peaksware strategic vision. MusicXML remains the standard open format for digital sheet music interchange, with support from over 180 applications. We will continue to invest in both the MusicXML format and our own MusicXML software implementations. If you have any questions, feel free to ask on the MusicXML forum. Over the past few months, many new applications have added support for the MusicXML format. There are now more than 180 applications supporting MusicXML. The range of applications is widening as well as the number. Here’s a quick overview of what we have added to the MusicXML software page in the past few days. Some of these are new products or releases. Others may have had MusicXML support earlier, but we just discovered that recently. The software page includes more information and links. We have also added another site for MusicXML scores to our music page. Visaudio Designs provides designs for marching bands and percussion ensembles, including editable scores. Over the next few weeks we will be attending two trade shows of interest to MusicXML developers. The first is the 15th SF MusicTech conference on May 20 at the Hotel Kabuki in San Francisco. Twice a year, Brian and Shosana Zisk do a great job gathering together a lively mix of musicians, music technologists, label and publisher representatives, entrepreneurs, lawyers, and business folks. I always learn new things and get an informative update on the current state of the music technology industry. The attendee list for this month’s meeting so far includes people from MakeMusic, Sheet Music Plus, Alfred, Avid, Flowkey, Smule, Pono, and many other music technology innovators. Each time I go I try to organize a “music notation lunch” during the lunch break. We meet at the top of the stairs in the Hotel Kabuki lobby and then head out to one of the Asian restaurants (usually either Japanese or Korean-style Chinese) in the conference’s Japantown neighborhood. Tickets are still available for the conference, but prices increase as the event draws closer. If you’re going, it would be great to meet you, whether at the notation lunch or some other time during the show. Feel free to message us on Twitter or Facebook so we can arrange something. The second show we’ll be attending is WWDC, Apple’s Worldwide Developer Conference being held June 2 – 6 at Moscone Center West in San Francisco. We’ll be there seeing what’s new for the Mac OS X and iOS platforms. With five days there should be plenty of time to get together. If you’re attending and would like to meet, please let us know so we can try to set something up. 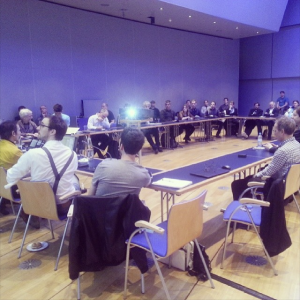 Thank you to everybody who attended our second annual MusicXML community meeting at Musikmesse! We had at least 52 people present who signed in, 10 more than last year. You can see the full table and the people sitting against the wall in the photo taken by neoScores during the meeting. MusicXML potentially moving to a standards organization like MMA and AMEI in the future. We started with a brief introduction to MusicXML for newcomers and an overview of the MusicXML community year in review. Our hosts neoScores provided a reception afterwards where people stayed for an hour after the meeting talking to MusicXML colleagues one-on-one. Once again, Musikmesse and our host company did a fantastic job behind the scenes. This includes presentation material from Daniel Spreadbury of Steinberg (SMuFL), Bob Hamblok of neoScores (Sanitizer tool), and me. Daniel was unfortunately not able to join us due to travel snafus involving two canceled flights, so I presented the SMuFL material in his absence. As long as Musikmesse makes this MusicBiz Lounge and Congress venue available to us, we plan to keep this as an annual event. Next year’s Musikmesse is from April 15 to 18. The Friday date seems to work well, so we’ll tentatively plan for the third annual MusicXML meeting on Friday, April 17, 2015. We will once again have a MusicXML community meeting at Musikmesse in Frankfurt as part of the MusicBiz Lounge and Congress. The meeting will be on Friday, March 14 from 2:00 pm to 4:00 pm in the Harmonie Room located off of Hall 5.1. Progress in the MusicXML community since last year’s meeting. MusicXML 4.0 and SMuFL 1.0. SMuFL (Standard Music Font Layout) is a project led by Daniel Spreadbury at Steinberg to standardize musical font encodings in the Unicode private area. Daniel will be present to introduce SMuFL. SMuFL addresses many of the requests we have received for MusicXML standardization over the years. We will discuss community interest in adding SMuFL support to MusicXML 4.0, and what exactly SMuFL support may mean for the MusicXML format. NeoScores will discuss a tool that cleans existing MusicXML files from older applications. This is a common problem for applications that want to support older notation files created with only printed music in mind. MusicXML and the MIDI Manufacturers Association (MMA) and Association of Musical Electronics Industry (AMEI). The MMA and Japanese counterparts AMEI maintain the MIDI standard for musical instrument interoperability. Recently MMA and AMEI have started discussing the possibility of an electronic score standard. We would like the MusicXML community’s feedback on the possibility of MMA and AMEI serving as a long-term standards body home for the MusicXML format. This year I will also be attending the SXSW Interactive conference for the first time. I will be at SXSW in Austin, Texas from March 7 to 10, then at Musikmesse from March 12 to 15. Please contact us if you would like to arrange a meeting at either of these events. You can contact us via messages on the MusicXML Twitter or Facebook accounts. I look forward to meeting with many of you at these events! 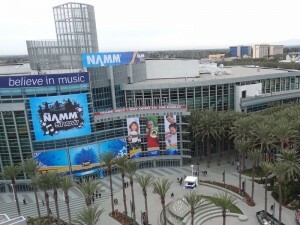 It’s January, so that means it’s time for the annual NAMM show in Anaheim, California. NAMM is the biggest show in the USA for the musical instrument market, including music software like MusicXML. The show runs from Thursday, January 23 through Sunday, January 26. This will be my 15th year attending NAMM and meeting with MusicXML developers. My meeting schedule is pretty full at this point though there are still some openings available, especially on Saturday. MakeMusic will be at Booth 6210 in Hall A. If you want to meet but we haven’t arranged a meeting, stop by the booth. If I’m not there, somebody will be able to get your information to me to see if we can set something up. We won’t be having a separate MusicXML community meeting at NAMM this year. On Wednesday the 22nd I will be attending The Hollywood Arrangers, an event organized by ASMAC, the American Society of Music Arrangers and Composers. This will be at Catalina’s in Hollywood from 10:30 am to 2:15 pm. I’ll be there at least through lunch and hopefully for the whole event. If you’ll be there, please come by and say hello. I look forward to seeing many of you at these two events, and learning how you would like to see the MusicXML format and MusicXML software evolve and improve in the future. 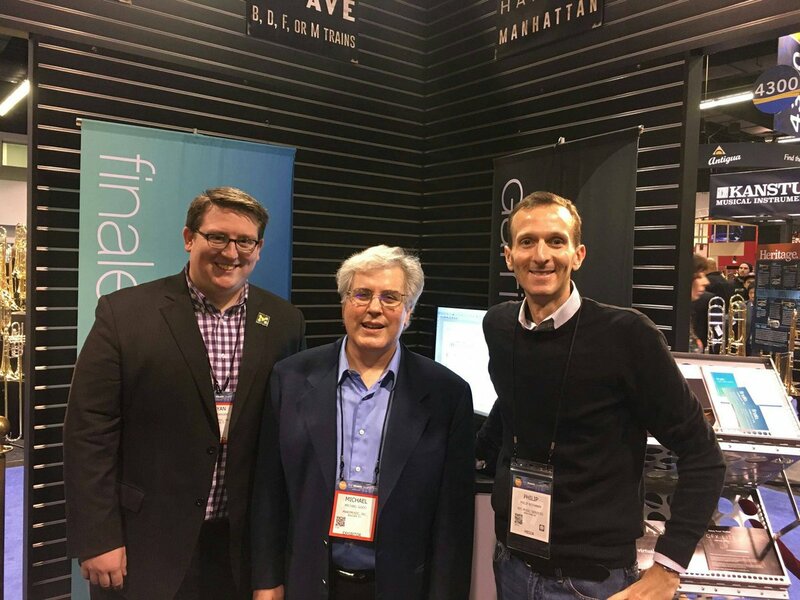 We had our first face-to-face MusicXML community meetings at the NAMM and Musikmesse shows. The NAMM meeting had 16 people attending and the Musikmesse meeting had over 40 people present. MakeMusic hosted the meeting at NAMM and Scorio hosted the meeting at Musikmesse. I know of at least one application that launched successfully this year thanks in part to MusicXML connections made at the Musikmesse meeting. One of the main suggestions from these meetings was to move the MusicXML mailing list to a forum. MakeMusic has now started work on this transition which we hope to see next year. A public MusicXML issue tracker is also a top priority from the meetings for our future development. MusicXML is now supported by over 170 applications! Apple’s Logic Pro X DAW and Neuratron’s NotateMe mobile app probably got the most attention of the new additions. But there were several other programs whose MusicXML support was either added or first brought to our attention in 2013. These include Avid Scorch, Cadencii, Calligra Suite, EarMaster, Frescobaldi, Harmonia, JellyNote, Mobile Music Trainer, OveScore, and Singer’s Mate – at least a dozen in all. You can read more and find links to software that supports the MusicXML format at our MusicXML software page. MakeMusic updated the free Dolet MusicXML plugins to Dolet 6.4 for Finale and Dolet 6.3 for Sibelius as part of our launch of Finale 2014. The major change was support for Finale 2014’s keyless score features, along with several other updates requested by plug-in users. 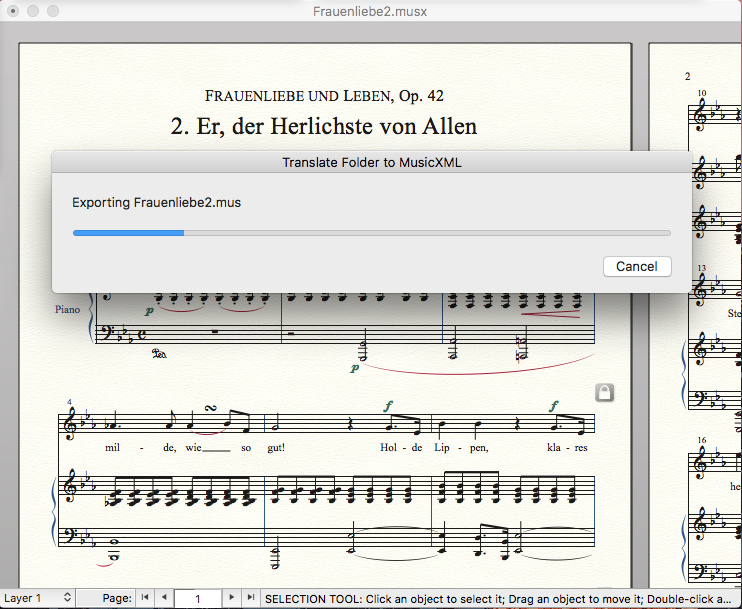 Finale 2014 also makes it easier to work with MusicXML files on both Windows and Mac systems. On the standardization side, Steinberg launched a new Standard Music Font Layout (SMuFL) project this year. This project is working to map musical symbols into the Private Use Area in Unicode’s Basic Multilingual Plane. This type of music font standardization addresses many long-standing notation interchange issues that have been difficult, if not impossible, to address solely from MusicXML. SMuFL has made a lot of progress since Daniel Spreadbury first shared it with us at Musikmesse, and is now up to version 0.7. We are tracking its progress closely here at MakeMusic. I see SMuFL support – both for the larger set of symbols and for the details of typography – as a promising direction for the next MusicXML update. Thank you all for your continued support of the world’s premier open format for the exchange of digital sheet music and music notation files. It is gratifying to see both the improvements to customer workflow when a product like Logic adds MusicXML support, as well as the creative new applications like NotateMe that are enabled by the MusicXML format. Here’s to a happy 2014! MusicXML and Finale’s new forward- and backward-compatible file format. The main Finale 2014 feature improvement that affects MusicXML import and export is the addition of keyless scores. MusicXML in Finale 2014 supports the different aspects of this feature: music that is in no key signature; music that is tonal but with no displayed key signature; and parts in tonal music that are displayed by hiding the key signatures and showing accidentals. The Dolet 6 for Sibelius plug-in has been updated to improve the transfer of keyless scores from Sibelius to Finale 2014. Finale 2014 makes it easier to work with MusicXML files. MusicXML files can be dragged and dropped into Finale, or opened from the Windows Explorer or Mac Finder. These have been longstanding requests for improving MusicXML workflows with Finale. The MusicXML support in Finale 2014, the Dolet 6.4 for Finale update, and the Dolet 6.3 for Sibelius update all include other improvements to improve MusicXML transfers. As in Finale 2012b and Dolet 6.3 for Finale, MusicXML support in Finale is now at parity with the Dolet for Finale plug-in; the remaining differences are in additional features like batch import/export and Open Score Format support. Both Finale 2014 and Dolet 6.4 for Finale contain enhancements for expressions, braces and brackets, and lyrics. The Dolet 6.3 for Sibelius plug-in now exports the information about accidentals that was added to the ManuScript language in the Sibelius 7.1.3 release. You can see the full details of what’s new in the release notes for both the Dolet 6 for Finale and Dolet 6 for Sibelius plug-ins. One of the most notable changes with MusicXML in Finale 2014 is where you no longer need to use it. In the past, older versions of Finale could not read files created by newer versions of Finale. MusicXML was thus the best way to share a Finale 2012 file with somebody using Finale 2011. Finale 2014 introduces a new file format that is both forward- and backward-compatible, and includes the ability to export back into the old Finale 2012 format. You no longer need MusicXML to share files between Finale 2014 and Finale 2012. MusicXML is still available to share Finale 2014 files with older versions of Finale – back to Finale 2000 on Windows, Finale 2004 on Power PC Macs, and Finale 2007 on Intel Macs. We hope that Finale 2014 and our updated MusicXML support will make things faster and easier for you, whether you are bringing files from other programs into Finale, or sharing your Finale files with someone using another program. The MusicXML format has long had widespread support among notation and scanning programs. Digital audio workstations and sequencers have been slower to add MusicXML support, but this has picked up in recent years. Back in 2007, Steinberg was the first major commercial DAW vendor to add MusicXML import and export in Cubase 4.1. More recently, Cakewalk added MusicXML export in SONAR X1 Producer Expanded. People have been asking for MusicXML export from Apple’s Logic software for a long time. Yesterday, these wishes were granted with Apple’s release of Logic Pro X. This release has garnered rave reviews – for instance, Macworld refers to Logic Pro X as “an amazing piece of work.” The MusicXML export is a terrific boon for musicians who compose in Logic and then want to produce polished scores in a full-featured notation program like Finale. Early reports are that the Logic to Finale transfer via MusicXML is working great. Note that the MusicXML export feature is available from Logic’s Score window. In our experience, moving a score from DAWs like Logic to notation programs like Finale is a much more common workflow than moving scores in the other direction. 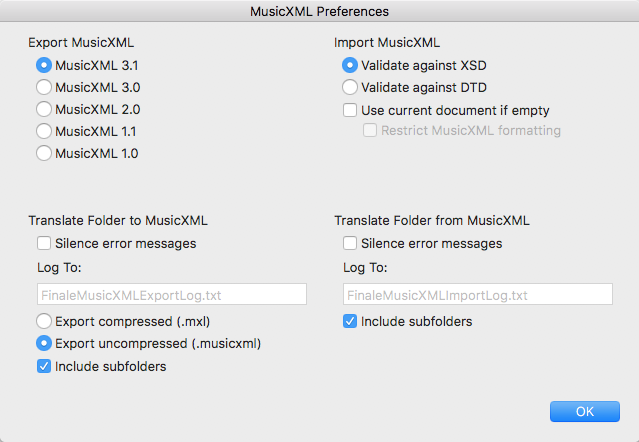 So it makes sense that Apple, like Cakewalk, has decided to add MusicXML export support without import. As always, this could change in the future if the companies see increased customer demand. We are delighted to see that DAW users on both Mac and Windows now have a choice of two powerful programs that let you export your scores to MusicXML files. We are confident that Apple’s and MakeMusic’s mutual customers will find this new version of Logic a terrific boost to making Logic and Finale work better together. Thank you to everybody who attended the MusicXML community meeting at Musikmesse! We had at least 42 people present. People came and went during the workshop, so my attendance list probably does not include everyone. 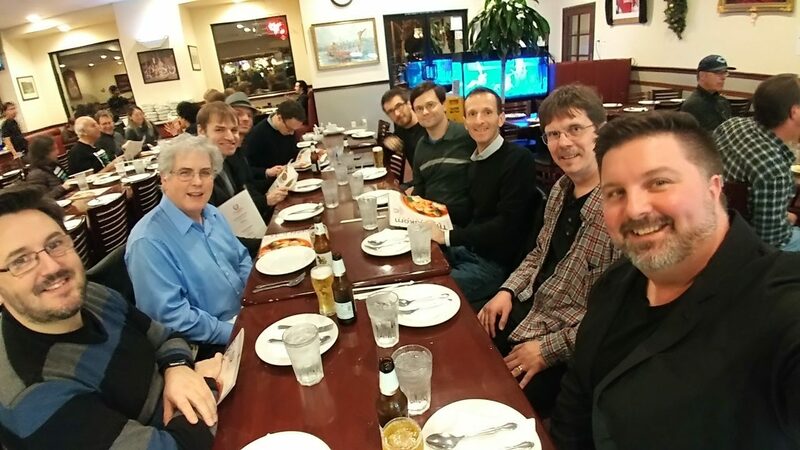 We had great discussions, and people enjoyed meeting MusicXML colleagues in person, not just via email and online discussions. Scorio and the Musikmesse team did a fantastic job behind the scenes. All the logistics worked flawlessly, which is so hard to do. Thanks so much to Scorio for hosting this event! We have a lot of good ideas collected here, and now have to see how we can prioritize and move forward on them. I look forward to future discussions on the MusicXML mailing list around this topic. We will be having a MusicXML community meeting at Musikmesse in Frankfurt. This will be a Musikmesse Musikbiz workshop sponsored by Scorio, a Musikmesse exhibitor. It will take place on Friday, April 12 from 11:00 am to 1:00 pm in the Workshop room accessible from Hall 5.1. The information is a bit hard to find on the Musikmesse web site, but you can find it directly here. Build the MusicXML community by having people meet face-to-face, not just online. Help design the future of the MusicXML format by sharing our visions within the community. Both these goals were met at NAMM. We had a great mix of publishers and developers attending the workshop there, and we hope for a similar mix at Musikmesse. I have included the workshop title and summary below. The workshop will be held in English. There will be some introductions in both German and English to help people who show up without realizing the choice of language. I will also be available for individual meetings with MusicXML developers and publishers throughout the entire Musikmesse event from Wednesday, April 10 through Saturday, April 13. Scorio, the workshop sponsor, would like to be sure they have enough refreshments for everyone who attends. Please email [email protected] if you plan to attend this Musikmesse workshop. We look forward to seeing you in Frankfurt! MusicXML was invented by Michael Good in 2000, and developed collaboratively by a community of hundreds of musicians and software developers over the past 13 years. Now established as the standard open format for digital sheet music, it moves music from desktop notation applications such as Finale and Sibelius to a new generation of mobile and web-based customers for notated music. Today MusicXML is supported by over 160 applications on Windows, Mac, Linux, iOS, and Android. Designed as a music-specific notation format, MusicXML adds further value to digital scores compared to a purely graphical format like PDF. It allows a full range of interactive functionalities for musicians like automatic transposition, part extraction, or score annotation. Michael Good will present the latest MusicXML innovations from the past year. We invite musicians, software developers and publishers to design the future of MusicXML with us in this workshop. Please note that the workshop will be held in English. Today MakeMusic announced it will be acquired by LaunchEquity, the company’s long-time largest shareholder. Read the full press release. Welcome to the newly designed MusicXML and MakeMusic sites! We now have our MusicXML information here on the www.musicxml.com site. In addition to the new appearance, we also have a new web site architecture that will let us update the site more quickly than we have over the past year. The easiest way to contact us is via the MusicXML mailing list. We’re especially interested in hearing about new software that you are building that supports the MusicXML format. We will be able to have much faster turnaround on our MusicXML software page. The same is true for new MusicXML digital sheet music sites listed on our music page. Thank you again for your continued support of the MusicXML format over the years. We now have support from 165 applications, and look forward to seeing even more and higher quality support in the future. Thanks so much to everyone who attended the first MusicXML community meeting at NAMM and made it a success! We had 16 people attending with a great mix of music publishers and software developers. There was lots of good feedback on future directions for the MusicXML format, and some good connections made between developers and publishers who had not talked together before. We plan to prepare a meeting summary and post it on this site. Several people asked if we could have a similar MusicXML meeting at Musikmesse. This meeting is still in the planning process with the Musikmesse staff. We hope to have something to announce later in February. Musikmesse takes place on April 10 to 13 in Frankfurt, and Michael will be available for meetings all four days. I will also be attending SF Music Tech in San Francisco on February 19. Perhaps we can have another notation lunch if there are enough other notation people attending?